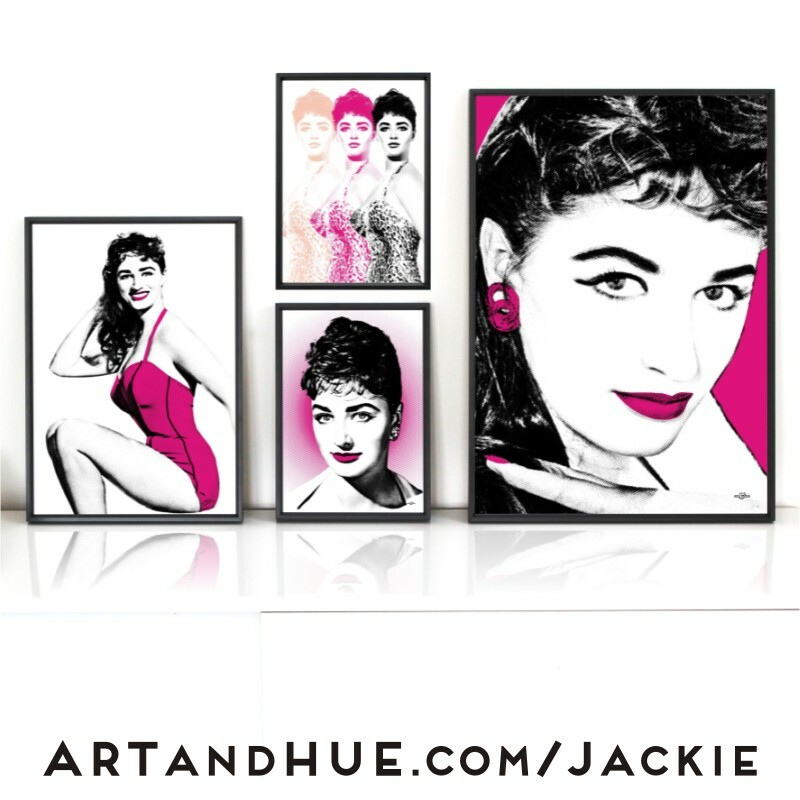 Art & Hue presents Jackie Collins, a new collection of stylish pop art prints inspired by the iconic best-selling writer’s time as a young actress. 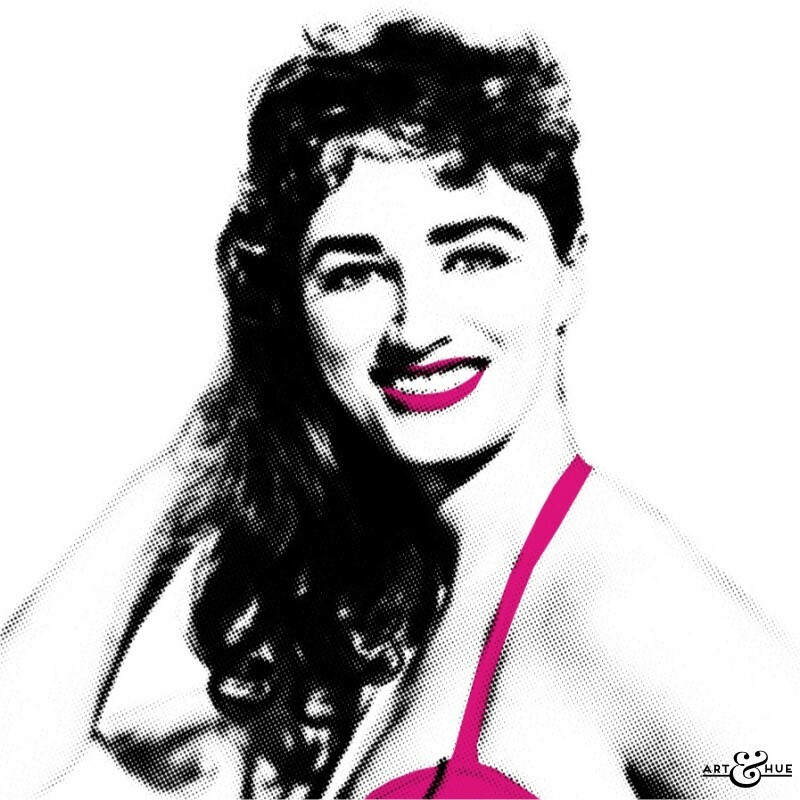 Before she become a renowned author, Jackie Collins almost followed in her big sister Joan‘s footsteps as a performer. 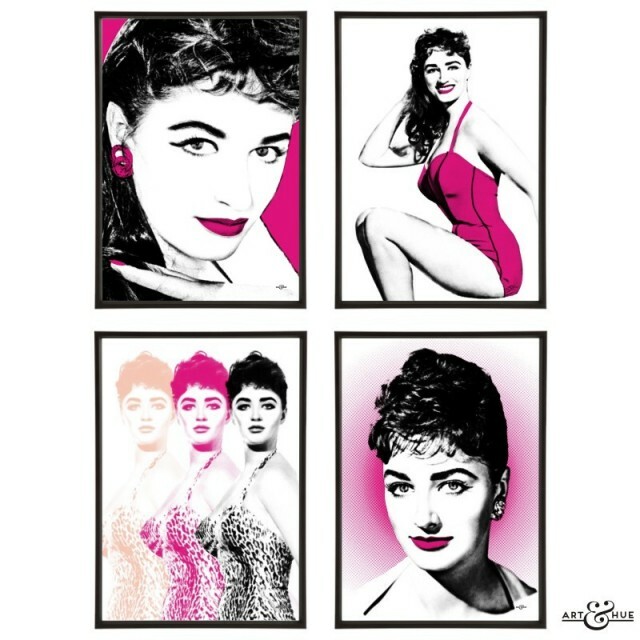 As a young starlet, her first film was “For Better, For Worse” with Dirk Bogarde, Cecil Parker, Sid James, & Dennis Price, and was followed with parts in film & television productions including “The Saint” with Roger Moore, “Danger Man” with Patrick McGoohan, “Passport to Shame” with Diana Dors, and “Intent To Kill” with Herbet Lom. One of Jackie’s film appearances was in the Ealing Comedy “Barnacle Bill” which starred Alec Guinness. As one of a group of bored teenagers, Jackie’s character June and her friends help transform Alec’s failing pier into a popular attraction, complete with a rockabilly-style skiffle band. “Barnacle Bill” opened at the Empire Cinema in London on the 11th of December 1957. Released with the title “All At Sea” in America, “Barnacle Bill” was the penultimate Ealing Comedy and marked Alec Guinness’ final appearance in Ealing’s output, which started with “Kind Hearts & Coronets” in 1949. Turning her back on acting, Jackie applied her talents to writing and published her debut novel “The World Is Full of Married Men” in 1968. The book was an instant best-seller and an international hit. 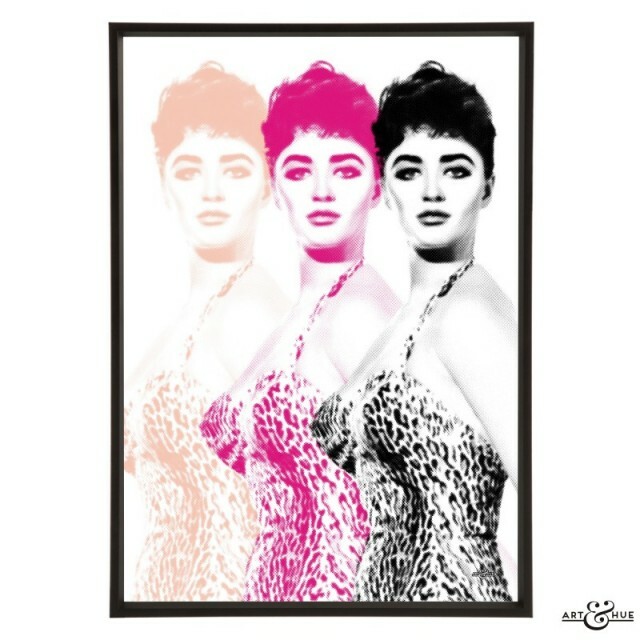 Jackie’s next novel “The Stud” followed in 1969 and proved to be another hugely successful publication, later adapted into a 1978 film with her sister Joan Collins. 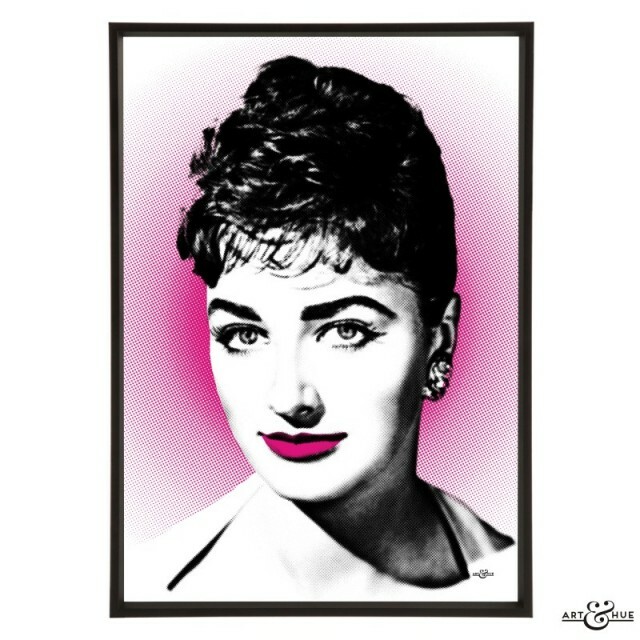 Many more best-selling titles were to follow throughout Jackie’s prolific writing career, including the Hollywood series and the Santangelo sagas. 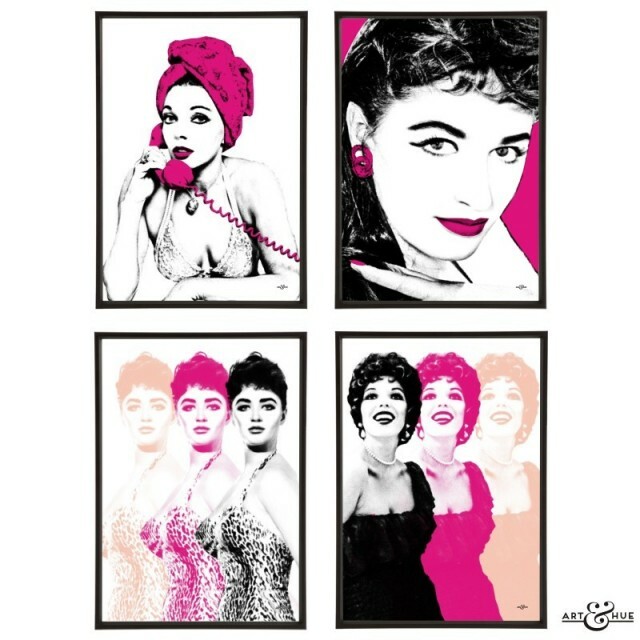 An official collaboration with Studiocanal, Art & Hue has delved into the archives of the Ealing Comedy “Barnacle Bill” to uncover rare images of Jackie Collins which have been transformed into four stylish pop art prints, in 22 colours and three sizes, available individually and as a group. 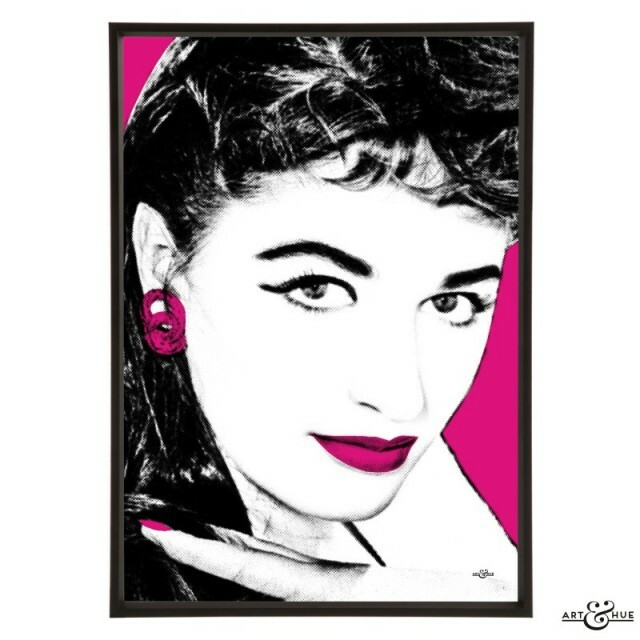 Exclusively by Art & Hue, all pop art is printed on museum-quality archival card of 310gsm, made from 100% cotton, with fine-art pigment inks for longevity.